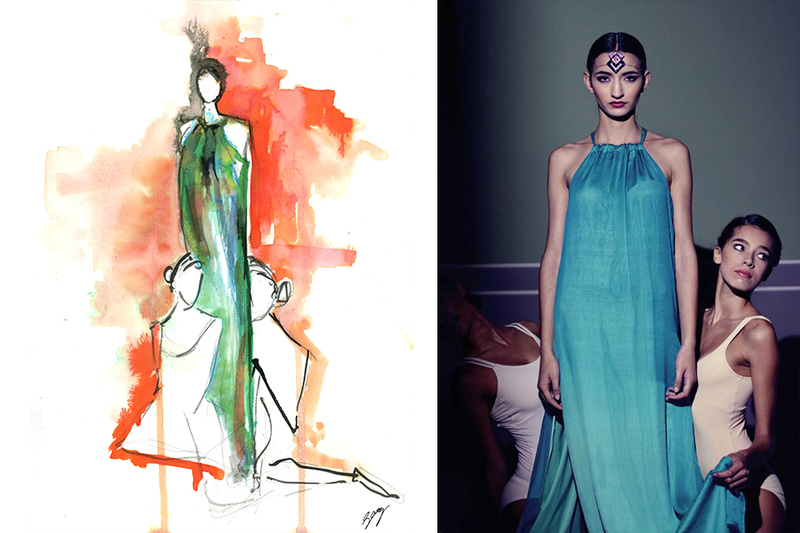 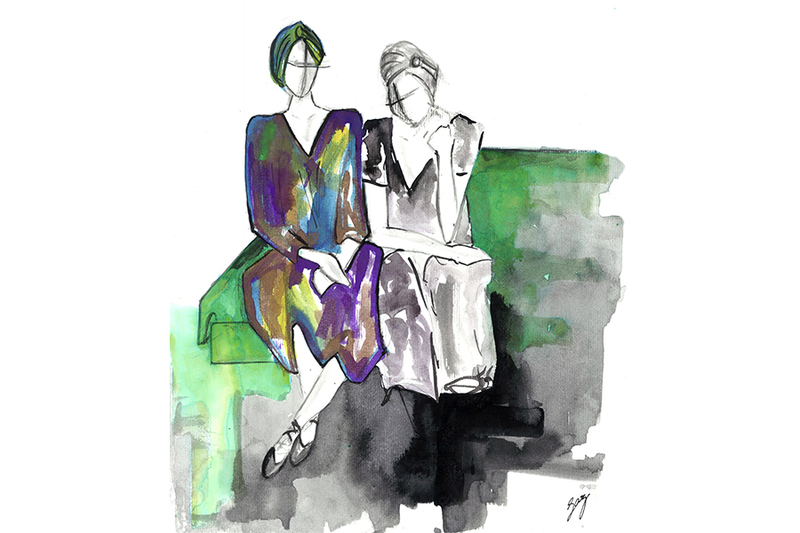 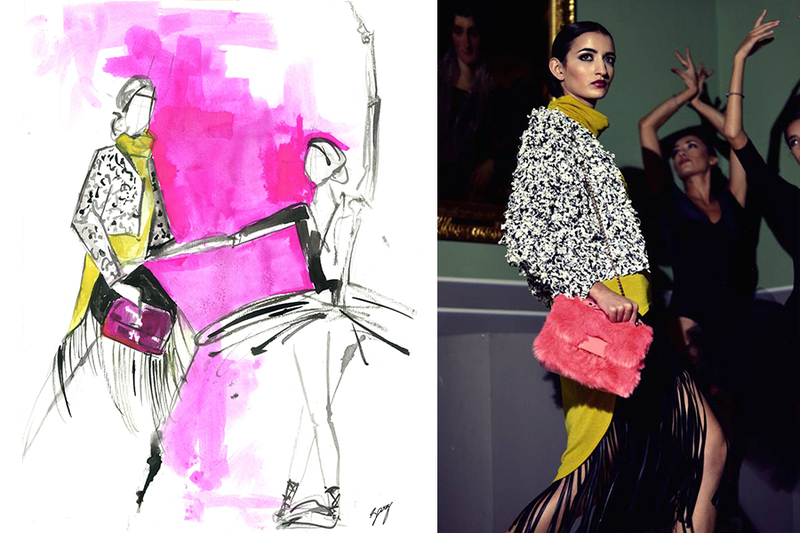 These are a set of illustrations, created by Saz Mifsud, especially for the Pink Fashion Show. 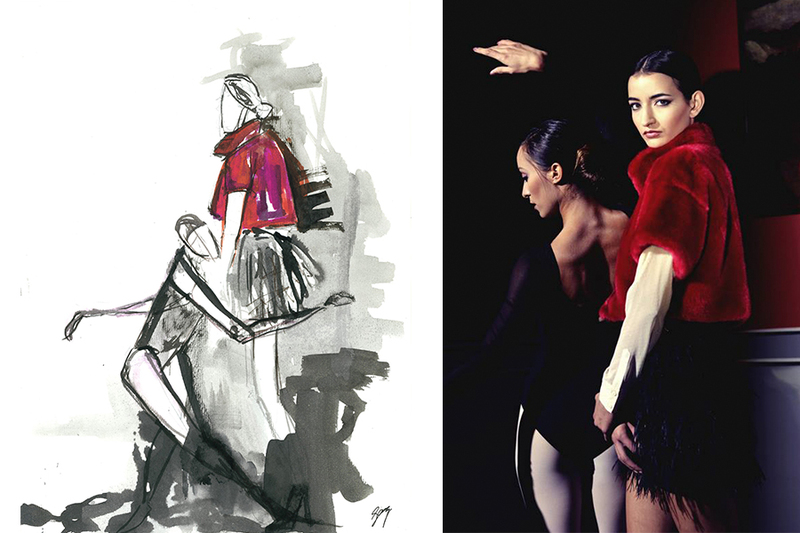 They capture a scene in which a model poses with one or two ballerinas. 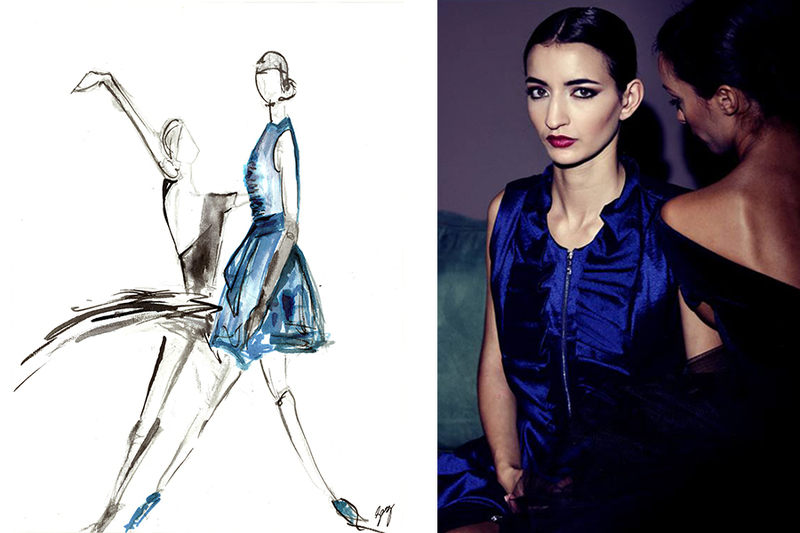 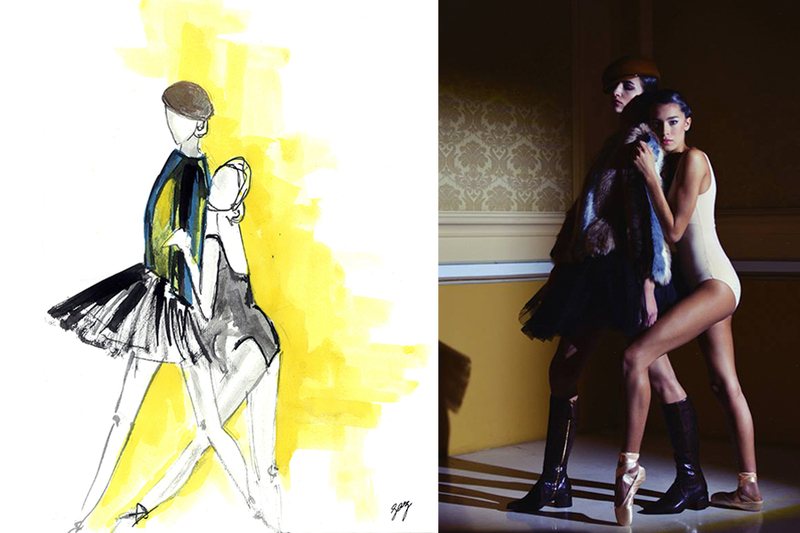 The concept was to merge several forms of art, like ballet, painting and interior design, with fashion. 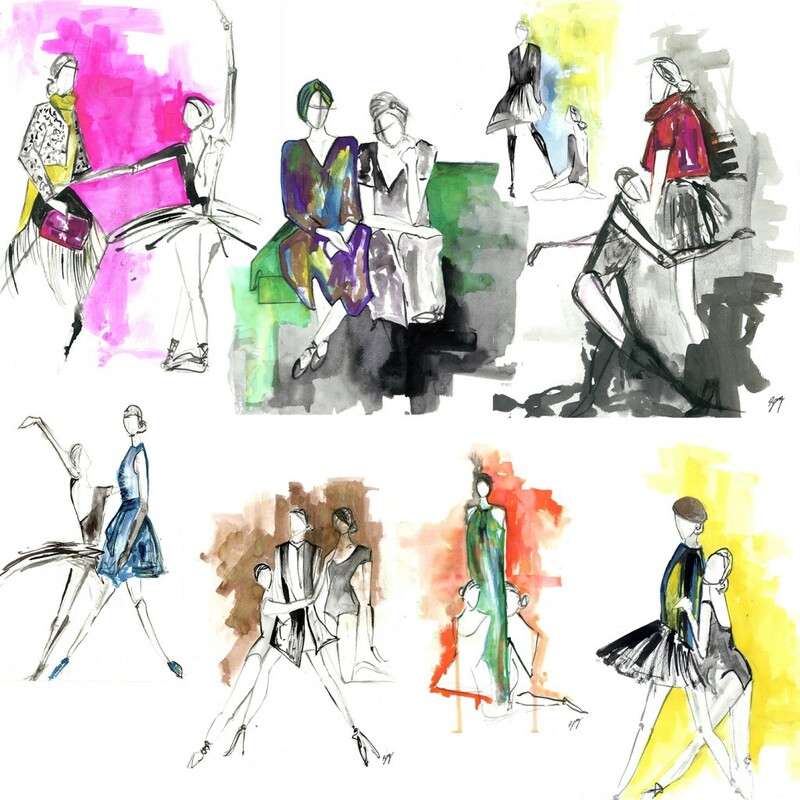 The ballerinas danced and flowed around the more rigid, static model. 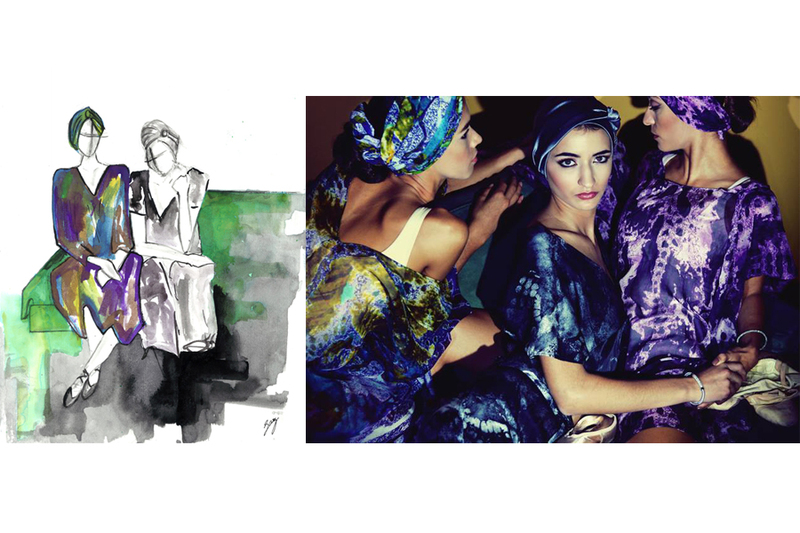 The result was quite captivating. 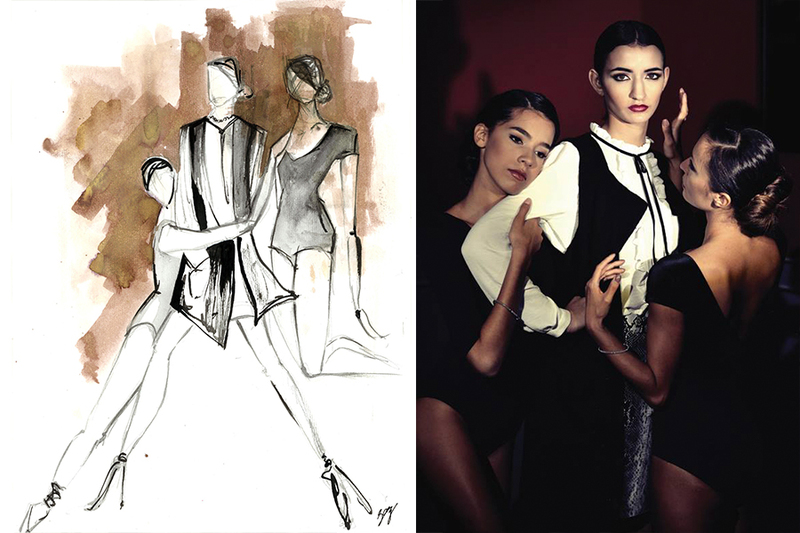 Below you can see the photos issued in the November issue of Pink Magazine alongside sketches created as an interpretation of these poses. 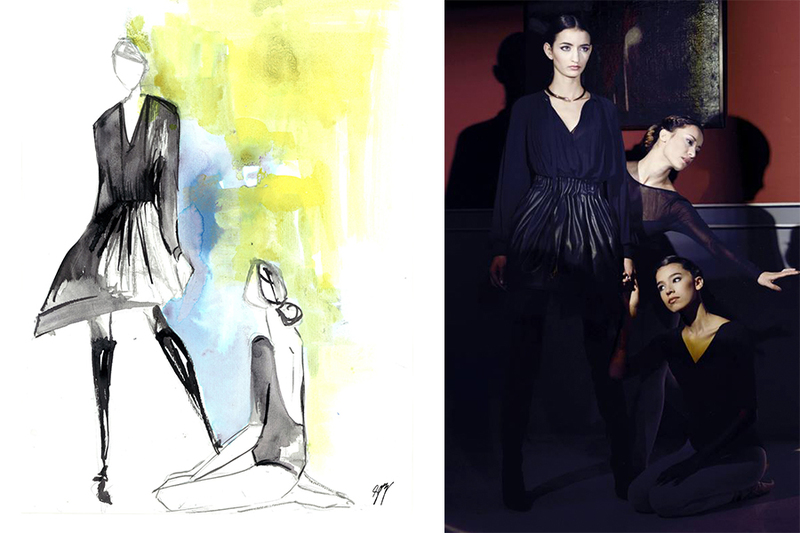 To order prints of the sketches contact us.